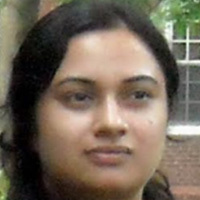 Rudrani Bhattacharya is an assistant professor at the National Institute of Public Finance and Policy, New Delhi. Her primary research area includes inflation and monetary policy, international finance, growth, development and Dynamic Stochastic General Equilibrium modelling for emerging market economies. She has received her Ph.D. from Indian Statistical Institute and her Ph.D. topic is based on endogenous growth and structural change in multi-sectoral framework.